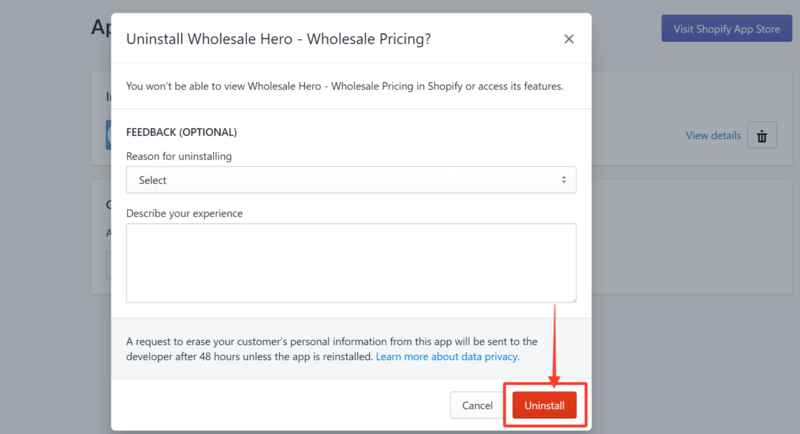 The Wholesale Hero app is very easy to install...and uninstall! If for some reason there is a need to uninstall the app and revert your online store to its original setup, here are a few simple steps to do so. Step1. 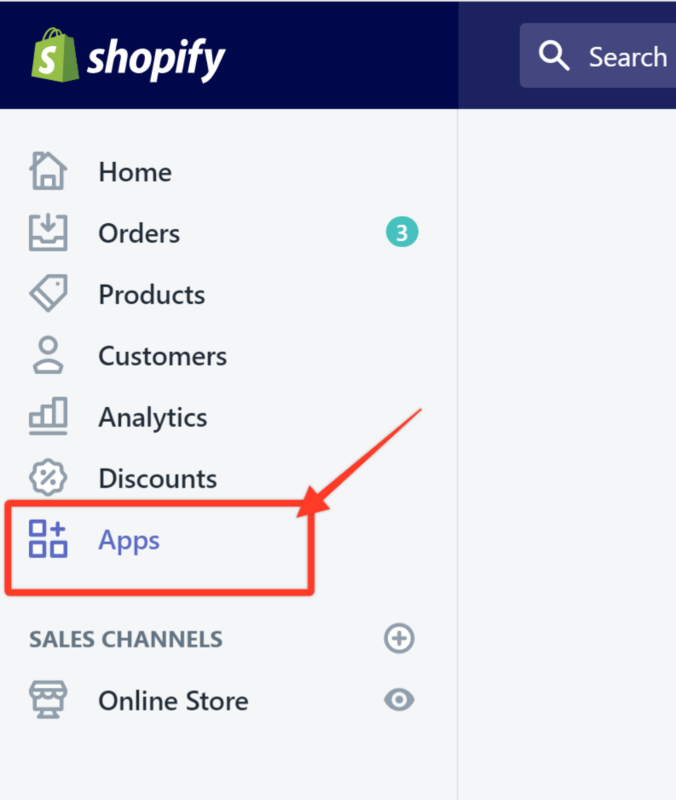 Go to your Shopify admin page and click Apps. Step2. Remove the app by clicking on the Delete icon on its right. Step3. You can click on the drop-down menu to fill out the feedback field with the reason why you want to uninstall the app and a brief description of your experience while using it. Otherwise, click Uninstall. Step4. Publish the "-- Pre WH " version of your theme we created in your theme admin. And you're done! The app is now uninstalled and your online store is back to its original format.